16/04/2019: Este encantador restaurante está escondido en una calle secundaria y vale la pena cazar. La decoración es agradable, el anfitrión es encantador y la comida es deliciosa. Normalmente necesito salsa de soja para darle un poco de sabor al plato principal, pero nunca necesité usarla. Los sabores eran excelentes. Sirven suficientes algas crujientes en el plato de inicio, que es lo más inusual para nosotros. ¡Muy recomendable! 28/03/2019: Have been coming here for a few years now and just thought I'd leave a review. Have always been excellent with my whole family and wife who is gluten intolerant, always preparing fresh tasty and hot food to suit her diet. Fantastic staff and great prices for what you get. 12/04/2019: Found myself in Worthing for the evening again and having been here before and enjoyed it, thought I’d do it again. Y’know what, nothing has changed at all - same decor, same menu, same staff and same host having the same conversations with the same people. Great food, nice atmosphere, lovely service and boy, I’m so glad it has not changed! 06/04/2019: I thought this was one of the best chinese restaurants I have had the pleasure of eating in. 14/04/2019: Amazing place! 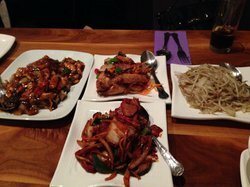 The food was sooo tasty, best Chinese I’ve ever had! The staff were so nice and friendly too! I will be returning and would recommend! 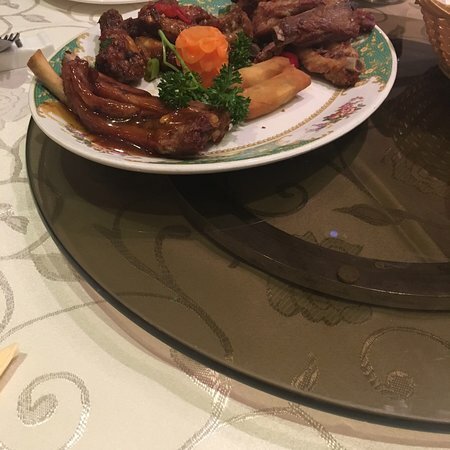 24/03/2019: I haven’t had chinese for ages as more often that not it’s a box of disappointment that gets delivered, this place is different the food was great (if I was being fussy the duck was a little cold) staff were attentive and caring, the ribs are fantastic, it’s not your standard bone with a tiny slither or meat, it’s actually a meaty delicious rib. 14/04/2019: Took the whole family on Saturday night for a celebration and was not disappointed. I am no expert but the menu seems to have a lot of Szechuan style cooking, so lots of spice in many of the dishes - chilli beef, yellow bean / black bean sauces - but plenty for folks with a calmer palate as well. 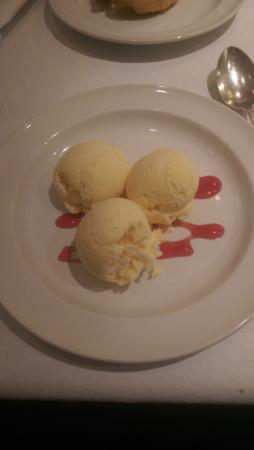 The food was delicious- Extensive menu, but excellent set meals. You can substitute dishes if you ask. 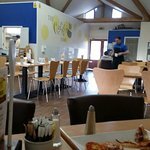 Very friendly staff, plenty of parking in the centre of the village 2 mins walk away, set meal for 4 was £27 per head, with plenty of food without being greedy. If you feel the need to be greedy, just order something extra, but wait a bit - you may regret it! Friendly atmosphere but smart enough to go for a celebration or take special guests. 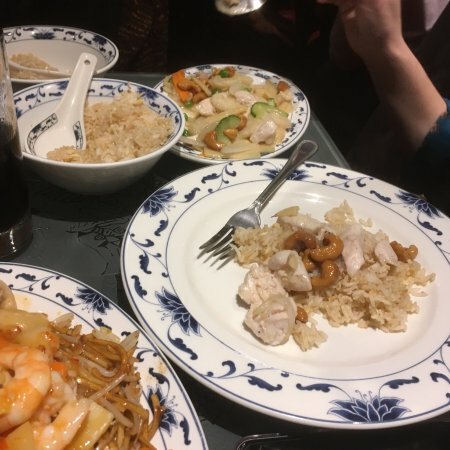 14/04/2019: Best Chinese take away we have had for a very long time. Good price, generous portions and hot tasty food. 31/03/2019: Really welcoming little cafe. Great coffee, great cake and would go back again. The staff here, many have special needs, they are a joy to be served by. Lovely atmosphere, great community spirit in here. 13/03/2019: What a lovely place to visit, fantastic choice of food, excellent service. Tasty and hot food and drinks all served with a smile, what an absolute credit to the young people who work here and supporting the local community. Well done will definately return. This place is a hidden gem in Basingstoke. 13/04/2019: My husband and I always go here if we have something to celebrate, as you always remember your time here and your memories. The food is excellent, the staff are really friendly and the service is excellent. Although there is a step to the restaurant, there is always a member of staff at the door to greet you and help you in whatever way they can. 31/03/2019: We met friends to celebrate a fiftieth birthday. The restaurant was of their choosing and not being a local did not know what to expect. So we got very friendly staff, great food and a very enjoyable evening. We were not rushed, spent 4 hrs here. Wish we lived closer so we could go again. 03/02/2019: They must have it right. Being open over 40 years and still going strong. Amazing food really in a league above all these all you can eat restaurants. Truly recommend you won’t get any better food. 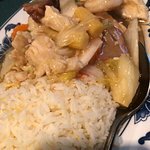 07/04/2019: We do not usually eat in a restaurant with only three stars on health and hygine ratings and really wish we had followed our instinct and not have eaten here. The food was poorly prepared, bland and overpriced. 21/03/2019: I have been going here for years both with family and friends or eating alone, and I have never been disappointed, The food is always delicious, fresh, cooked to perfection and you are not kept waiting. 29/10/2018: My first order tonight and without doubt, not my last. The lady on the telephone was extremely helpful and friendly. Sadly they didn't have a debit card payment system via the phone, but was extremely helpful in getting me to pay via PayPal as I had no cash to hand. 17/12/2018: Great takeaway. They offer superb service and courtesy and food arrives quickly and piping hot. Oh and it's also excellent too! 15/04/2019: We had friends visiting from Germany who love Chinese food but cannot get it so easily where they live. We were taking them to the Isle of Wight so I looked on TripAdvisor and found this restaurant with great reviews. 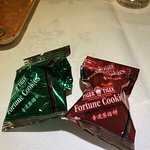 04/04/2019: May I start by saying I served in the Royal Navy for 25 years- during that time I was lucky enough to circumnavigate the world 3 times - I have never tasted Chinese food like the food that we had in the Tin Tin tonight- it was just beautiful - Christine and Tony looked after us superbly - the service was exceptional - the food - unbelievable and the cost very reasonable - I my partner, her parents and our friends could not fault TIN TIN - highly recommended- best Chinese restaurant not only in PORTSMOUTH but on the South Coast - if you like Chinese food- the you HAVE TO GO TIN TIN - give them a ring!!!!. 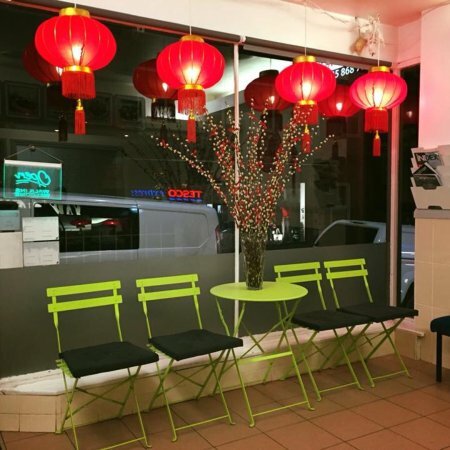 28/03/2019: This place is amazing, I have tried a lot of Chinese Restaurants and this one has been THE best out of all of them, all food is fresh and made on the spot, the place itself is cozy and atmosphere in there is just wonderful, the staff are very friendly and always smiling! 28/03/2019: Came here after seeing such great reviews. The prices are rather expensive from what I usually expect from a Chinese. 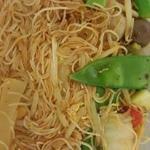 £6.80 for a Singapore vermicelli ?? £8 for crispy chilli beef?? Everything is around £1.50-£2 more then normal. 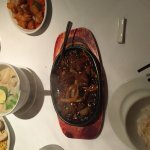 15/12/2018: Ordered takeaway for myself and my family, after being very dissatisfied with the food that was served, you could tell food had been reheated and shredded beef was like eating cardboard, called the restaurant and they were happy for me to come down to speak to them in person, as soon as I opened my mouth they threatened me that I’m on CCTV and were very rude, abusive and obnoxious with raised voices. I walked away but felt I had to write that I have never been treated in this disgusting manner you should feel comfortable when you spend your hard earned cash for what you hope is going to be a nice meal and not be verbally threatened. 11/12/2018: This is a lovely restaurant with friendly staff and good food. You are able to spend however much time you want over the meal. You are never rushed.